The findings are significant because they show that accuracy is the key—not whether children thought that other kids liked them or not. Children who can accurately assess how their classmates feel about them—even if those feelings are negative—are less likely to show symptoms of depression, according to Florida State University researchers. 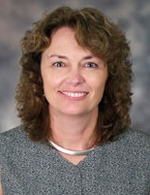 Psychology Professor Janet Kistner found that children in third through fifth grades who had the wrong idea about their level of social acceptance were more likely to develop symptoms of depression over time. The study, "Bias and Accuracy of Children's Perceptions of Peer Acceptance: Prospective Associations with Depressive Symptoms," was published in the Journal of Abnormal Child Psychology. Graduate students Corinne David-Ferdon and Karla Repper and psychology Professor Thomas Joiner were co-authors. "There's a long-running debate in the field of psychology about whether realistic perceptions are a hallmark of positive adjustment or they are associated with risk for depression," Kistner said. "Our results support the perspective that realistic perceptions are a hallmark of mental health." The findings are significant because they show that accuracy is the key—not whether children thought that other kids liked them or not. That's important because some psychologists have theorized that people who have a positive bias—meaning they think others like them more than they actually do—are protected against developing symptoms of depression, while those who have a negative bias are prone to maladjustment and depression. The researchers found neither to be true. Instead, they found that those who had symptoms of depression at the start of the study over time became less accurate and more negatively biased about how well they were liked, indicating that negative bias is more of a consequence than a cause of depressive symptoms. The researchers are the first to look at both bias and accuracy, and the findings underscore the importance of studying both facets of perceptual errors, Kistner said. "Little attention has been given to the role that inaccurate self-perceptions may play in children's risk for depression," she said. "Our results suggest a possible self-perpetuating cycle in which inaccurate perceptions lead to elevated depressive symptoms and depressive symptoms lead to decreased accuracy of perceived peer acceptance." The findings are consistent with psychological theories that attempt to explain social competence and general adjustment, according to Kistner. Self-verification theory suggests that people are motivated to maintain their self-perceptions, even if they are negative. Even positive feedback can cause distress if it threatens their view of themselves. Social competence theories center on the idea that children who accurately perceive how others feel about them are better able to modulate their behaviors in ways that maximize acceptance. Greater social acceptance, in turn, is expected to be associated with fewer symptoms of depression. In Kistner's study, 667 children were given class rosters at the beginning of the school year and asked how much they liked their classmates on a scale of one to five and to predict the acceptance ratings they would receive from each of their classmates. Their predicted ratings were compared to the actual ratings they received to measure perceptual accuracy. The children also were asked to complete a questionnaire about whether they had experienced symptoms of depression, including feeling sad, trouble concentrating and sleeping problems. The experiment was repeated six months later. The average age of the children at the start of the study was 9.4 years old. Prior to about age 8, children's self-perceptions tend to be glowingly positive and unrealistic, according to Kistner. As children's cognitive abilities develop and they begin to rely on social comparisons to evaluate themselves, their exuberance gives way to more realistic—and sometimes negative—self-perceptions. "This is an important age group to study because there is growing evidence of increased prevalence of depression in adolescence as well as a decrease in the age of first onset of depression," Kistner said. "We need to identify children in the late elementary school grades who are at risk for depression and to increase our understanding of the factors that contribute to the development of depression."